The McKays, a multi generation farm family, have a strong passion for the environment, agriculture and rural lifestyle. They are committed to maintaining a healthy environment for future generations with crop protection plans and safe food practices. All members of this family are involved in the community, volunteering with the Rotary Club, the local hall board, sports teams, UCW, Farm Connections, Utica United Church, Port Perry Fair, Eastview Boys and Girls Club and more. Starting with a few strawberry plants in 1971, they sold berries out of a small shed on the farm. As they increased their acreage, they dispersed their Master Breeder dairy herd and devoted their time to growing healthy food for their customers. 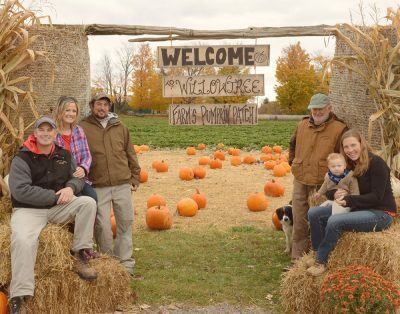 All the family have joined in the business, growing 35 different types of fruits and vegetables on 450 acres of land, growing and selling meat in their butcher shop and making their own maple syrup and selling their produce at over 11 Farmers Markets. They renovated their Farm Market into a year round market, complete with a meat counter, fresh produce, homemade preserves, ready to eat meals, a bakery, a café and more! Don is a 5th generation farmer, who with his brother, Jim, own and operate Ceresmore Farms which farms over 1300 acres of cash cropping. They are located east of Bowmanville on land where their family started farming in the 1840’s. Don is an advocate for agriculture involved in several farm organizations serving as a director and president of the Royal Agricultural Winter Fair, the Canadian Seed Growers Association, the Ontario Seed Growers Association, as well as a director with the Ontario Soil and Crop Improvement Association, the Ontario Cattlemen’s Association, the Northumberland and Durham Apple Growers Association, the Ontario Agricultural Hall of Fame, and served as a leader in the Durham 4-H Association. 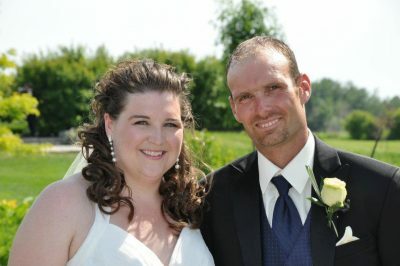 He currently is a member of the Clarington Agricultural Advisory Committee, and is a director at Country Heritage Park in Milton. Don and his wife Gail have a true sense of pride and dedication for farming. 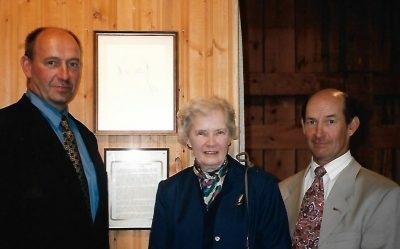 Their respected example of giving time and resources to committees and causes for the benefit of the farm community is significant. We all take pride in the support and championing of agricultural recognition this family has shared with the community. Brad Found is outstanding in the field of leadership, community involvement and has a passion for farming. His involvement is full on. Over the years, he has held offices at local and provincial levels in Junior Farmers and 4-H, and has spent countless hours setting up, taking down, managing, organizing and more for Orono Fair and Farm Connections. His strong leadership has given many organizations a sense of purpose and has provided sound advice and insight as he served as a member, director and president of most organizations he has been involved in. He has made a positive difference in the lives of the 4-H youth as he coached Durham East’s Go for the Gold teams and as leader of sheep and farm machinery clubs. He has been instrumental in getting the All About…Farming Farm Connections Trailer on the road and still finds time to farm with his parents and raise his own flock of 200 sheep. Farming sustainably means taking into consideration all five principals of sustainable food. What is Genetic Engineering and biotechnology? Farmers use good bugs to fight bad ones.